Vice President Joseph Biden asked President Rafael Correa to turn down Edward Snowden’s asylum request. Snowden leaked National Security Agency information. President Correa said the conversation he had with Vice President Biden was cordial and friendly. He told the U.S. Vice President that Ecuador had not sought out the situation it is in of deciding whether or not to harbor a fugitive of the U.S.
Correa said the country has not even considered the request for asylum since Snowden has not stepped on Ecuadoran soil, where he must be to apply for asylum. Correa said the moment Snowden arrives on our soil, if in fact he does arrive, the first thing we will ask is for the opinion of the U.S., as was done in the case with Assange in England, said Correa. Ecuador granted Julian Assange, the WikiLeaks founder, asylum at their London embassy. Bernadette Meehan, a spokeswoman for the White House, confirmed that a conversation between Biden and Correa took place on Friday by telephone. They talked about Snowden, but Meehan would not disclose details about what was discussed. Friday’s talk was the highest level conversation between the two countries, publically disclosed, since asylum was requested by Snowden from Ecuador. In Correa’s weekly address on television, he praised Biden for being courteous compared to how U.S. 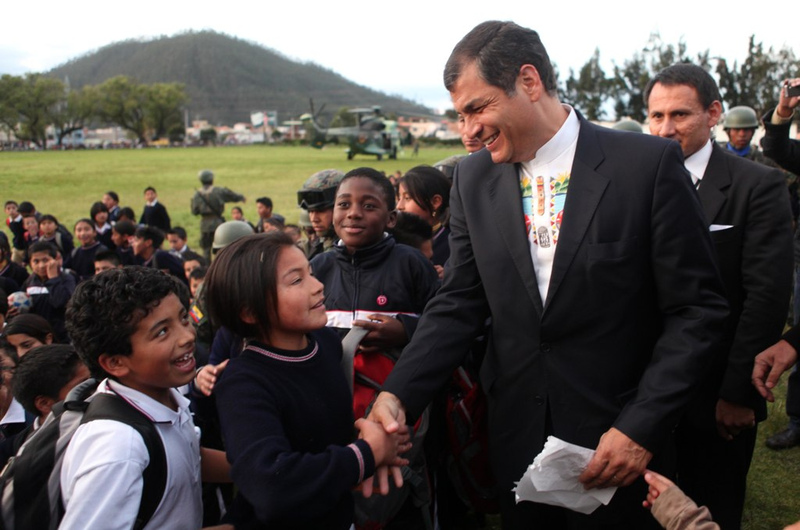 Senators have been threatening to slap economic penalties on Ecuador if they do not cooperate. In the same address, Correa also rebuked the White House administration for hypocrisy, saying that that his country has been trying to extradite two bankers from the U.S., with no success. He said consistency was needed, rules must apply for everyone, but now there appears to be a double standard.